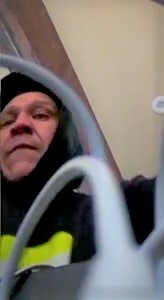 This individual broke into a home on St. Moritz cul de sac on the Loop Road during the early morning hours of February 25th. The surveilance cameras in the home seemed to have forced the suspect to abort his mission, but not before capturing his face. 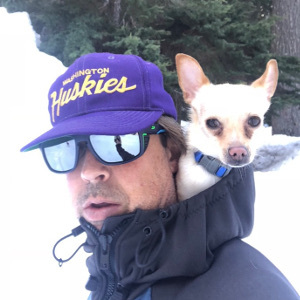 King County Sheriff's detectives are asking for the public's help to identify this burglary suspect in the Alpental Ski Area on February 25th. He forced their garage door open, drove what appears to be a Mitsubishi Mirage G4 inside. He loaded up his vehicle with numerous items including an Xbox, ski clothes, Arlo cameras, liquor, gas can and guitar. Another neighbor saw a similar car going up Ober Strasse early this morning around 4 am. 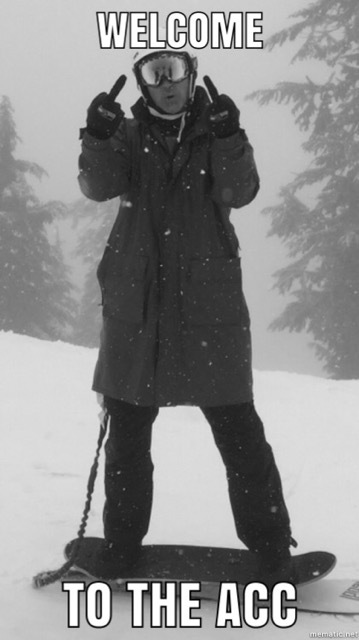 Our ACC Summer Meeting is scheduled to be on June 8th at the Alpental Lodge from 5:30-7:30. Save the date for this meeting! We'd love to see you there! Check your spring dues notice and back here on our website for more information as we get closer. The ACC is now on Groopit! A private online group for homeowners & residents only. 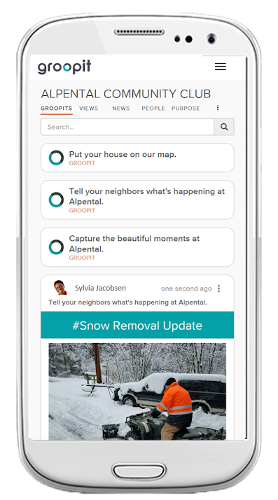 Alpental Community Club now has a private online group for verified homeowners and residents. It's a place where we keep each other informed about what's happening and work together to keep our community safe, beautiful and sought after. If you are a homeowner or resident that has not yet joined, request access today! Visit the ACC Groopit here. Alpental Community Club, Inc., is a nonprofit corporation that was formed in 1968 for the purposes of furnishing and regulating road maintenance, snow removal services, and such other services and facilities for the benefit of the owners and residents of our mountain community. The ACC is maintains a set of covenants to ensure the community continues to share a beautiful and safe place. Neither the ACC nor the ACC Board endorse these vendors but some of our Neighbors have been happy with their products and services. Here you'll find minutes from past meetings and an archive of club documents. The ACC strives to preserve this beautiful alpine valley by maintaining traditional Tyrolean-Bevarian architecture. 2018 will be my fourth winter as a resident of ACC. 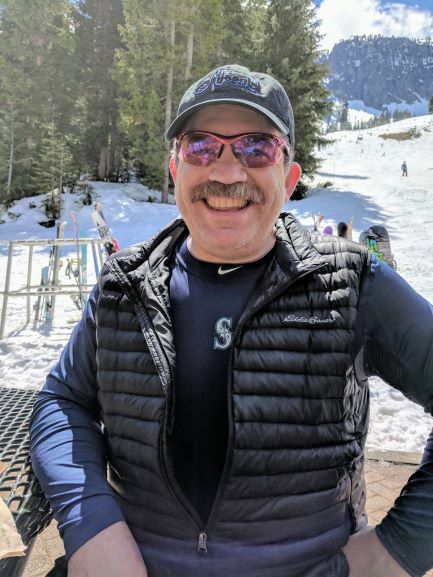 I love to ski, hike and just hang out in the mountains, so Alpental is a great and natural place for me to be. 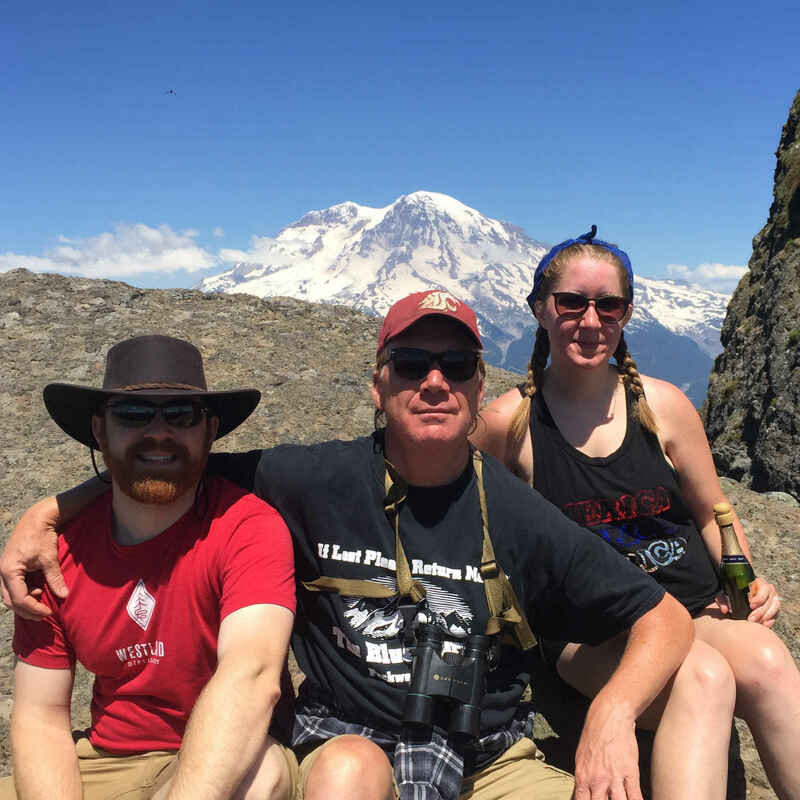 As you can tell from this picture, I love to spend time in the mountains with my adult children, Brian and Megan. One wonderful thing I've most enjoyed about Alpental is all the cool people I've met that that have been or still are ACC members! Heather, Jessica and I moved to Alpental in 2014. We have two boxers, Dillon and Izzy. They are big and imposing until they get to know you, then they are big lap dogs. We love living up here full time so we can enjoy our mountain life. We go skiing and snowboarding whenever we can as we enjoy being on the hill. Alpental has become our home with all of the great friends we have made up here.